But what if inequality is the wrong metric. Herewith a modest proposition: economic inequality is not the best yardstick. What we should be paying attention to is social mobility. Really? There are plenty of really good explanations for rising inequality, many of which are in my (free) book Rigged. I suppose in the Age of Trump, it is appropriate that the Post has a business columnist determined to flaunt his ignorance. It’s also far from proved - to me, it’s not even intuitive - that high incomes on Wall Street and elsewhere are the reason for, say, flatter wages in manufacturing. The fact that Mark Zuckerberg is so rich is annoying, and his separateness from Main Street may not be a great thing socially, but in an economic sense, his fortune did not “come from” the paychecks of ordinary workers. OK, let’s explain this one so that even someone profoundly ignorant of economics can understand. Suppose that someone, we’ll call them Jeff Bezos or Mark Zuckerberg, were really good at printing counterfeit bills. Imagine that they printed up trillions of these counterfeit bills. This would make them incredibly rich, if they could get away with it. But, as Lowenstein says, how does this make anyone else worse off? While Lowenstein doesn’t see any problem with our incredibly rich counterfeiters, in the real world, we have the problem that they are creating demand for goods and services with their consumption. If the economy is below full employment, this would be good news, since any source of demand will generate more output and jobs. However, if we are near full employment, or the Federal Reserve Board thinks we are near full employment, then this demand comes at the expense of the paychecks of ordinary workers. Prices like house prices and rents are driven up by our counterfeiters and the demand created by their servants. The Fed raises interest rates to slow growth and employment, and lessen the ability of ordinary workers to get pay increases, since the labor market will be weaker. 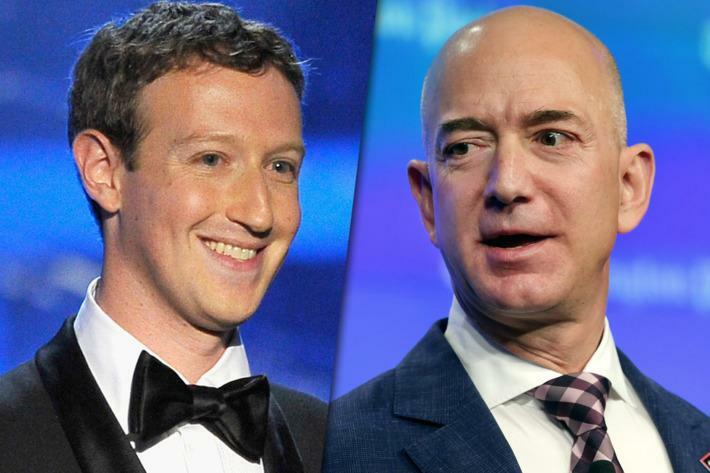 Now, folks may object that Bezos and Zuckerberg are not like counterfeiters; they actually generate value for the economy. While this undoubtedly partly true, it is also the case that much of Bezos’ wealth came from avoiding the requirement that retailers collect state and local sales taxes. 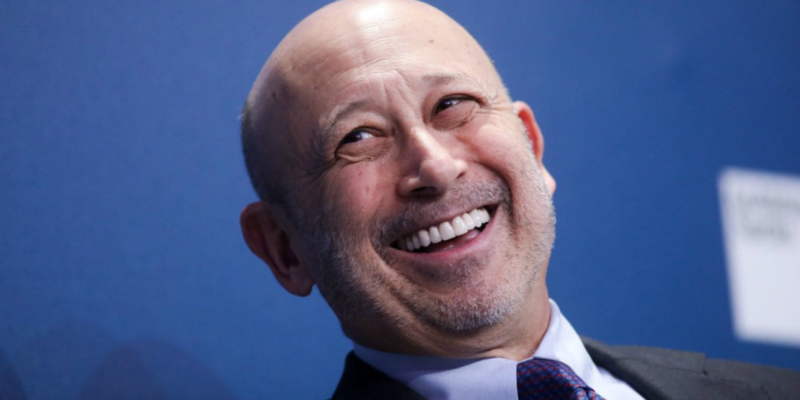 Zuckerberg’s wealth came from control of a monopoly platform, and Blankfein’s wealth came from running a too-big-to-fail institution with friends in high places. Insofar as people get incredibly wealthy from being successful in earning rents at the expense of others in the economy, rather than generating wealth, they are very much like counterfeiters. Furthermore, since productivity has been growing at an incredibly slow rate for the last dozen years (just over 1.0 percent annually), it seems in aggregate that these incredibly rich folks are much better at generating wealth for themselves than for the economy as a whole. This makes the rent-seeker story look very plausible. While Lowenstein’s plea for greater mobility is about as old as capitalism and has been incredibly unsuccessful, let me propose something considerably more original that you probably won’t see in the Washington Post. 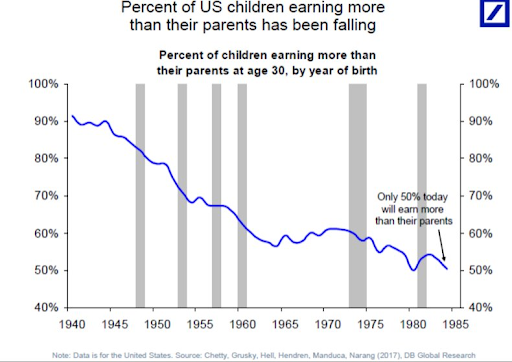 Since we have so completely bombed at providing anything like equal opportunity, and no serious person can think this is about to change in the decades ahead, how about we structure our economy so that it makes less difference whether someone ends up at the top end, like Jeff Bezos, or at the bottom, earning the minimum wage?